Theodore Catton is co-proprietor of Environmental History Workshop and associate research professor in the History Department at the University of Montana. While scholar-in-residence in 2013, he worked on a chapter in American Indians and National Forests, published by University of Arizona Press in 2016. The book tells the untold story of how the U.S. Forest Service and tribal nations dealt with sweeping changes in forest use, ownership, and management over the last century and a half. This year, the book was awarded the Charles A. Weyerhaeuser Award for best book published on forest and conservation history in 2016. Catton is the author of numerous books, articles and reports on the national parks and national forests, including Inhabited Wilderness: Indians, Eskimos, and National Parks in Alaska and National Park, City Playground: Mount Rainier in the Twentieth Century. His most recent publication is Rainy Lake House: Twilight of Empire on the Northern Frontier (Johns Hopkins University Press, 2017). 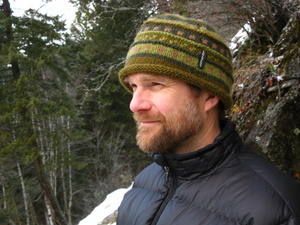 Catton resides in Missoula, Montana, with his wife and writing partner, Diane Krahe. His other interests include backpacking in the Northern Rockies and walking vacations in the British Isles. A public historian for more than twenty years, Ted Catton has specialized in recent years in writing history for the National Park Service. The topic he worked on at Grey Towers National Historic Site was the history of the USDA Forest Service Tribal relations.